German scientists have developed a semi-autonomous laser defense system that will keep your garden healthy and green. Weeds are a hassle. Whether it's a vegetable garden, a decorative flowerbed or an industrial greenhouse, keeping out unwanted, invasive vegetation is a never-ending task. Virulent herbicides make the job easier but are dangerous to people and the environment and, because of that, are faced with restrictions and even flat-out bans in some areas. Weeding by hand is safer, but double the work, half the fun and lacking the finality of a good Roundup rampage. Scientists at Leibniz University in Hannover have come up with a laser-based system that keeps the weeds at bay without posing any threat to other plants or animal life. It wasn't easy; lasers of the wrong frequency or intensity can actually promote weed growth, and although it might be fun to watch, you probably don't want to turn your whole garden into a smoking, charred cinder, either. But researchers have overcome both of those problems, determining the proper weed-killing laser intensity and then developing a camera system that monitors fields and measures the contours of plants, after which algorithms go to work to separate the weeds from everything else. Once all that's done, you just stand back and nuke it from orbit. Actually, it's not quite that simple. The system as it stands is good for about a square meter in a greenhouse and while larger, rail-based greenhouse applications can be "easily conceived," the precision required for outdoor farming applications is a bit more problematic. The researchers are now looking at robots and drones to see whether they can bring the pain with enough precision to get the job done without excessive collateral damage. 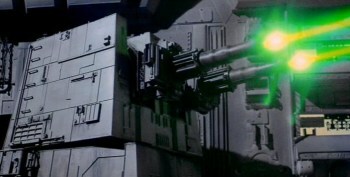 So to recap: German scientists are working on laser-equipped flying death machines that are capable of deciding for themselves what to kill. Yeah, we are so screwed.